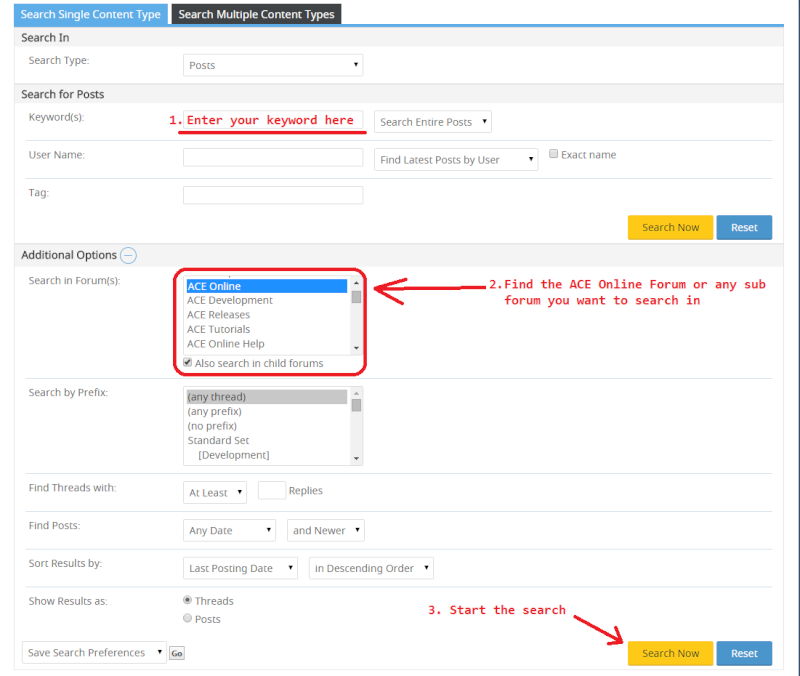 This is a clean and simple walk through of how to use the search function to find results in the Ace Online sections! It has been posted already, but the old functions as well as the the design changed a little. 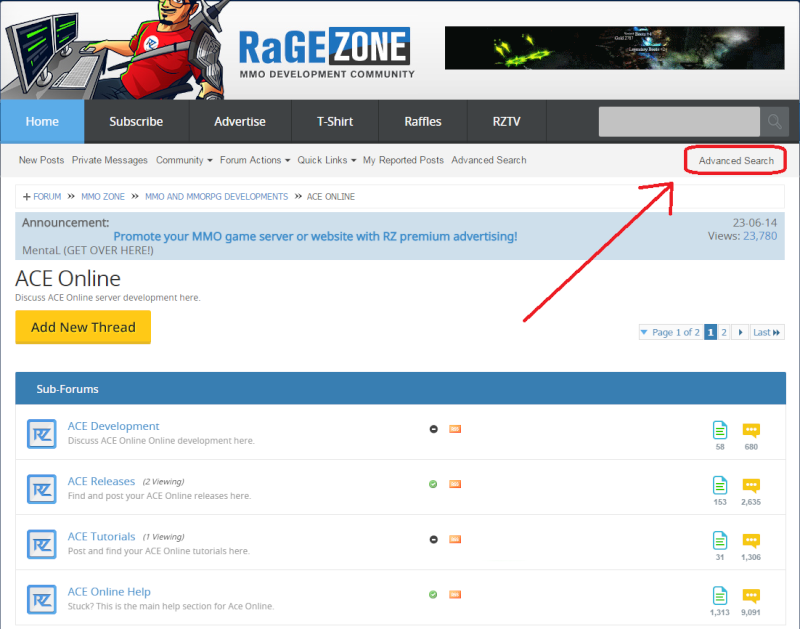 Enter your searching criteria and fire the search button! Both of these methods will lead you to a site that shows matching threads / posts to the searching criteria you specified. It is not hard to decipher! This should be easy to follow for everyone. 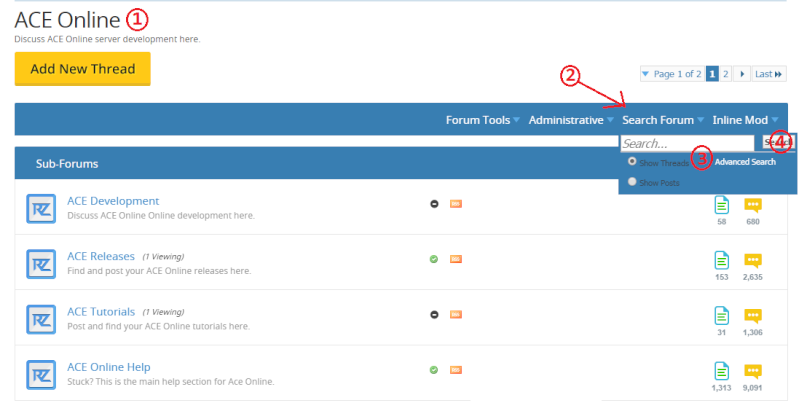 It is mandatory to be done before you open a new Thread / duplicate an existing one!